This group is characterized by an ovipositor evolved into a stinger, although not all aculeates can sting. Live Hymenopteran insects photographed in the wild at North American locations. are considered the most primitive of the Hymenoptera. Adults are often mistaken for wasps, but a crucial difference is the lack of the narrow "waist" found in the bees, wasps and ants. Sawlies get their name from the saw-like (crosscut, not radial) ovipositor they use to cuts slits in vegetation into which they place eggs. Sawfly larvae usuall feed on the outside of plants, many prefer grasses, but some do serious damage in the timber industry as woodborers and leaf miners. Horntails, or wood wasps are so-called for their spike-like ovipositor, which they use to pierce tree bark and wood wherein they lay eggs. 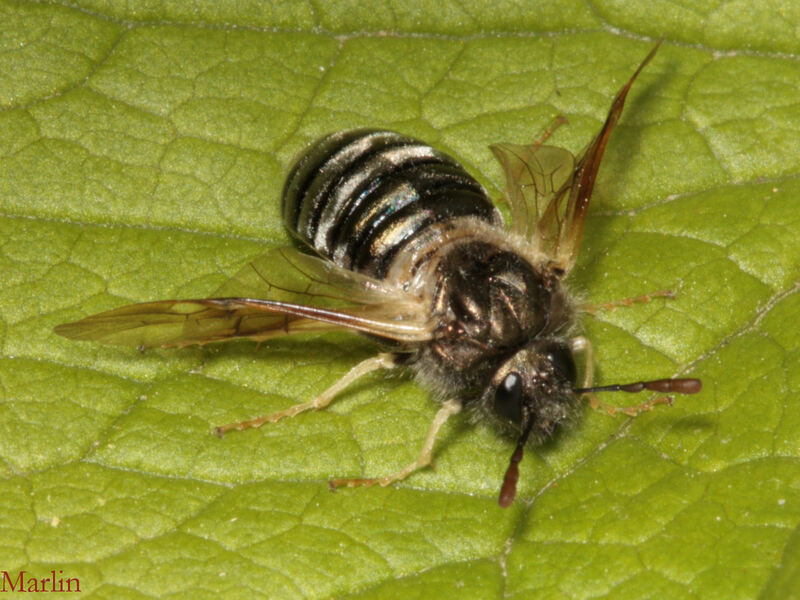 The resulting larvae, living within the wood are in turn prey for their sister hymenopterans in the parasitic Apocrita, esp. Ichneumonidae, which use famous wood-penetrating ovipositors of their own to lay eggs on the unfortunate host. Sawflies usually lay their eggs in plant tissue, using the sawlike ovipositor that gives the family their common name. Sawfly larvae live inside stems or leaves and feed externally on foliage. This unhappy trait makes many sawfly species terrible agricultural pests. In braconids, ichneumons and some others, the larvae are parasites of many different insects and spiders. One such wasp, The Tarantula Hawk (Hemipepsis species), is famous for using paralyzed tarantula spiders as food for its larvae, and many species specialize in other prey such as cicadas and katydids.